Whether it’s fairytale castles in Europe or eye-opening adventures in Asia, our guide to the world’s most wonderful waterways is sure to float your boat. Starting in the Alps and meandering through Switzerland, France, Germany and Holland, the Rhine flows through a picture-postcard landscape taking in some of the most scenic parts of Europe. With more castles than any other river, and a rich and colourful history dating back to Roman times, it’s no wonder the Rhine is the number-one river cruise destination. Natural highlights include the legendary 443ft Lorelei rock, where the haunting song of a beautiful siren is said to have lured sailors to their doom. 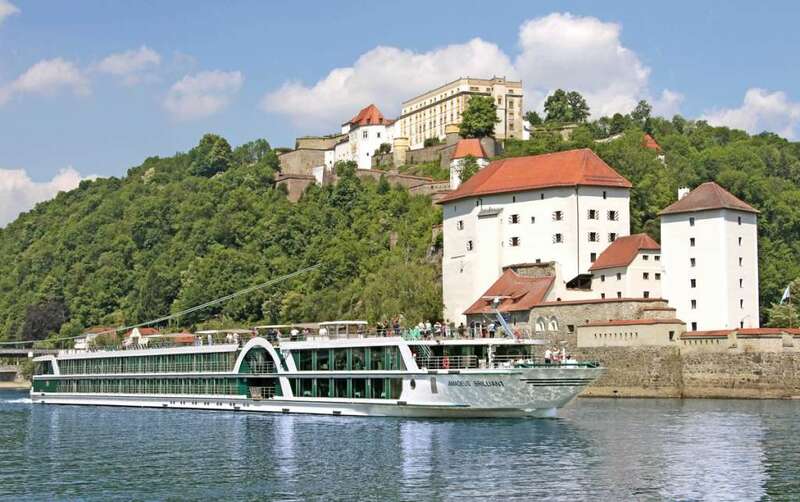 The lesser-known Moselle joins the Rhine at Koblenz and some cruises combine both rivers. The world-famous “blue Danube” is Europe’s second longest river, flowing on an epic 1,777-mile journey through ten countries from Germany to the Black Sea. Passing through four capital cities – Vienna, Bratislava, Budapest and Belgrade – and glorious areas such as the UNESCO-listed Wachau Valley, it’s easy to see why this is one of the most popular river cruise regions. Sailings on the Lower Danube take passengers east from Budapest through Serbia, Croatia, Bulgaria and Romania to the Danube Delta on the Black Sea. This is a much lesser-known and quieter stretch of the Danube that is also renowned for its rich wildlife and the experience of sailing through the Iron Gates gorge. Discovered by the Romans who named it the “River of Gold”, Portugal’s Douro might not be as well-known as some of its European counterparts, but in keeping with its maritime past it offers a unique modern-day voyage of discovery. This once fast-flowing river is now a tranquil waterway tamed by a series of dams that include the cavernous 115ft Carrapatelo lock, the deepest in Europe. 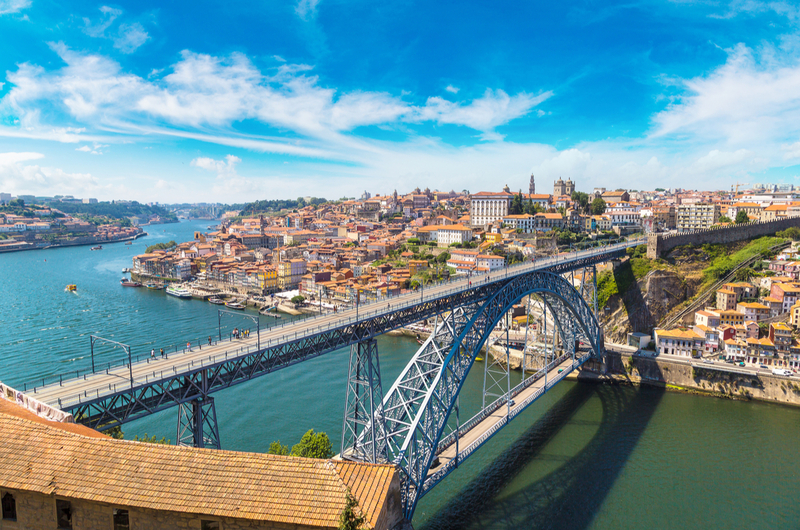 There is only one itinerary on the Douro: a 130-mile, seven-night sailing through rugged green countryside from the UNESCO World Heritage city of Porto to Vega de Terron on the border with Spain. The 505-mile Rhone flows from the Swiss Alps through southern France and into the Mediterranean, west of Marseille. The Saone is the chief tributary of the Rhone and the two converge at Lyon, where most cruises begin. Ships sail through Provence and Burgundy, the gastronomic heartland of France and two of the country’s top wine-making regions. Passengers are transported to the wild Camargue region via medieval cities such as Avignon, Beaune and Arles, where Vincent van Gogh lived and painted famous works such as The Langlois Bridge at Arles, which is still recognisable today. India is an up-and-coming river cruise destination, and sailing on “Mata Ganga”, or Mother Ganges, offers an irresistible chance to explore remote destinations that are inaccessible on a land tour and impossible to reach independently. The 1,600-mile Ganges, rising in the Himalayas and flowing into the Bay of Bengal, is an integral part of India’s religious and cultural life. Most cruises are seven-night sailings from Kolkata, with excursions taking in Murshidabad with its vast Hazarduari Palace, Chandannagar which retains its French colonial heritage, Mayapur and its gigantic Hare Krishna temple. The largest tributary of the Ayeyarwady provides an unforgettable journey for travellers looking for a new adventure. Myanmar, formerly Burma, has emerged as an intriguing tourist destination after years in isolation. 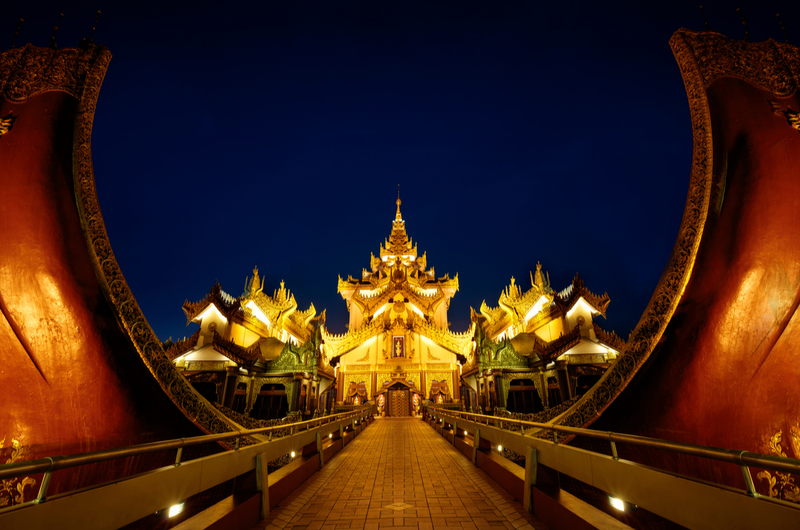 Cruises on small colonial-style vessels start and finish with hotel stays in Yangon, the former Burmese capital, and Mandalay, immortalised in the poem by Rudyard Kipling. With all sailing done during daylight hours, passengers never miss the panorama of bell-shaped Buddhist pagodas lining the river. Excursion highlights include the Phowintaung hill caves, filled with ancient murals, the spectacularly colourful Thanbodi Temple outside Monywa, and the giant golden Buddha, at 412ft the largest in Myanmar. 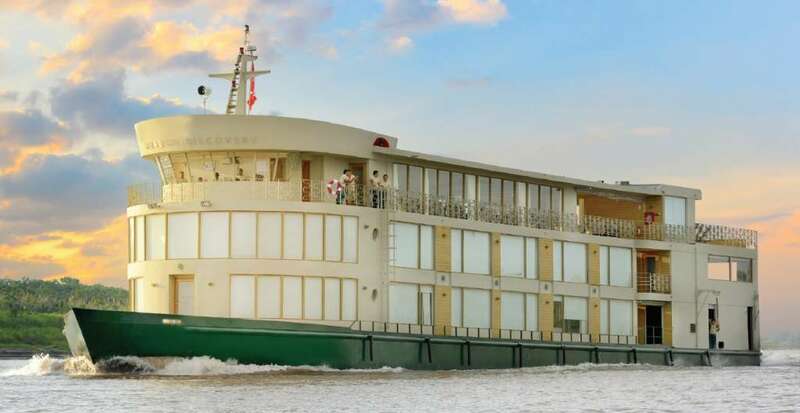 Southeast Asia’s greatest river has experienced some of the biggest growth in long-haul river cruising. Running through Vietnam and Cambodia, it provides the opportunity to experience two fascinating countries along with contrasting cities: bustling Ho Chi Minh City, the former Saigon, and Siem Reap, gateway to the ancient temples. 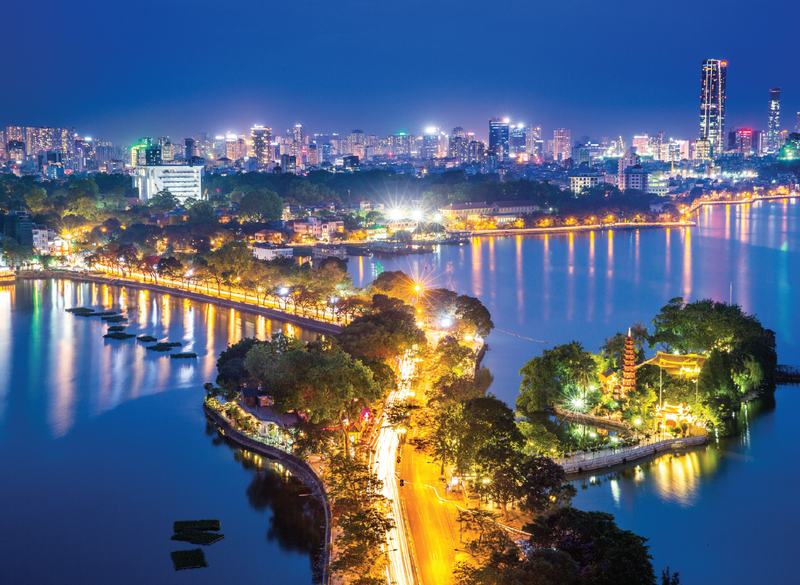 Most cruises combine seven nights on the river with a land-based stay that can also include a couple of nights in the Vietnamese capital of Hanoi. Authentic experiences include visits to floating fishing villages and rides in ox carts and rickshaws to interact with locals in small towns. The world’s largest river by volume, the Amazon offers an incredible experience, penetrating deep into the heart of the rainforest where larger cruise ships can’t sail. Passengers will spot river dolphins, piranhas, alligators, monkeys and vibrant birdlife as they explore on land-based treks and canoe expeditions from their vessel. You can sail the Amazon in Brazil or Peru. Brazilian itineraries include a visit to the “jungle city” of Manaus, the river’s furthest navigable port, lying 1,000 miles inland from the sea, while Peruvian cruises take in the Yacapana Isles, renowned for their iguana population. Winding 2,340 miles from northern Minnesota to New Orleans, “Ole Man River” is America’s most evocative waterway. 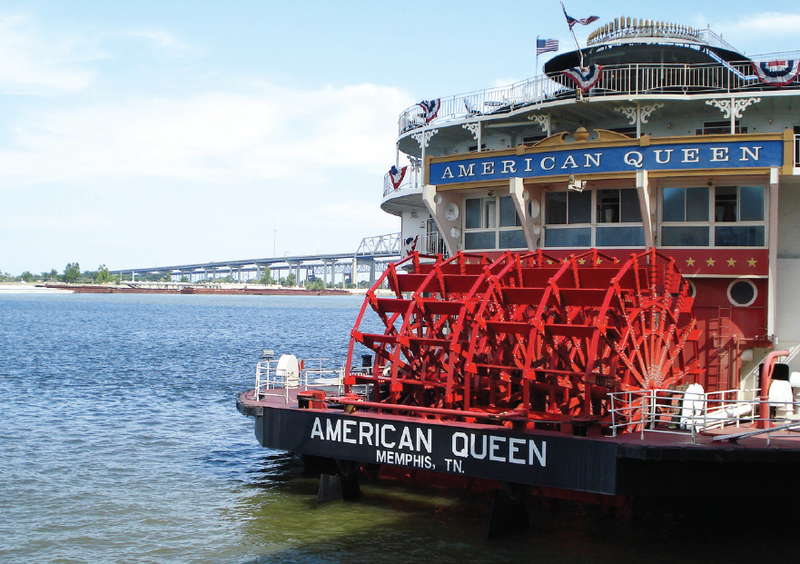 Itineraries are brimming with history of all kinds, ranging from Civil War battlefields to sites connected with slavery and outlaws, not forgetting Graceland, the Memphis home of Elvis Presley. The main cruise route is a seven-night sailing between Memphis and New Orleans, though you can also make week-long journeys from Memphis to St Louis and St Louis to St Paul – the latter covering the prettiest stretches of the river with a greater concentration of wildlife. These can all be sailed individually or as part of a three-week voyage of discovery. Rising in the Tibet Plateau and flowing east across the entire width of China until it empties into the East China Sea near Shanghai, at 3,915 miles the mighty Yangtze is Asia’s largest river. China is a land that is still shrouded in mystery and it makes an exciting destination for even the most seasoned traveller. Cruises typically start and finish with a stay in cosmopolitan Shanghai and historic Beijing, with its vast Forbidden City. The river section of itineraries ranges from three days to one week and they all include a transit through the huge Three Gorges Dam and the chance to walk along a stretch of the Great Wall of China.